Hey All! I realize it has been exactly a week since I posted and I am super sorry to leave you hanging! I've been swamped with a few upcoming projects (more on that later) and I also attended Go Blog Social this weekend which you may have seen if you are following me on Instagram! 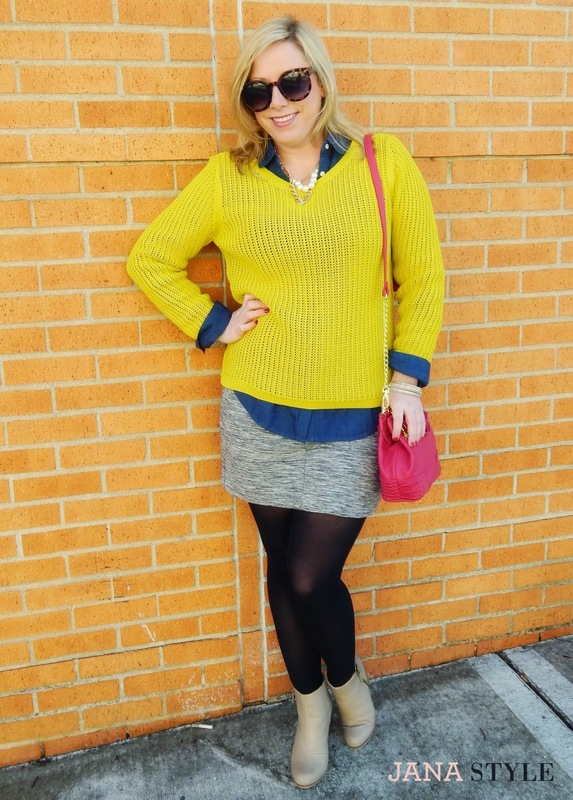 Today I have another trendy Spring look from the stores at Summit Fair! 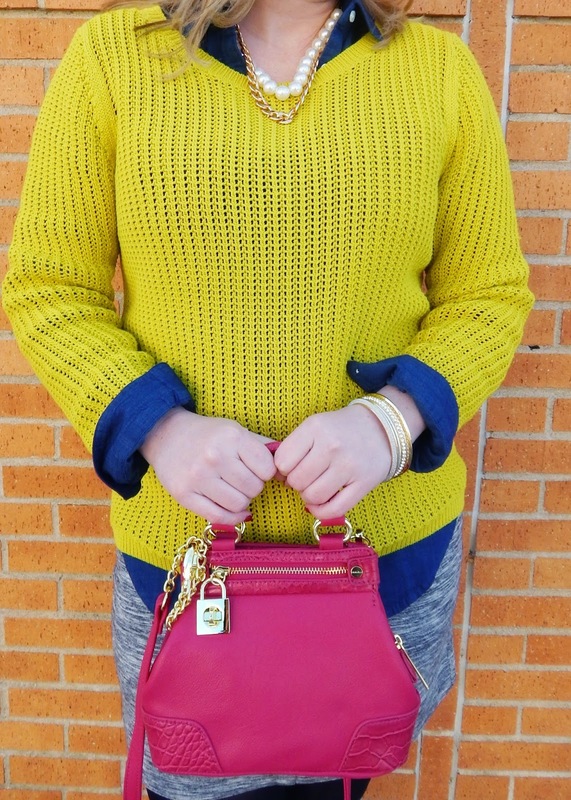 I feel a little "xoxo gossip girl" in this outfit :) Layering for the chilly spring air is okay if I can do it with bright colors, like this citron sweater! 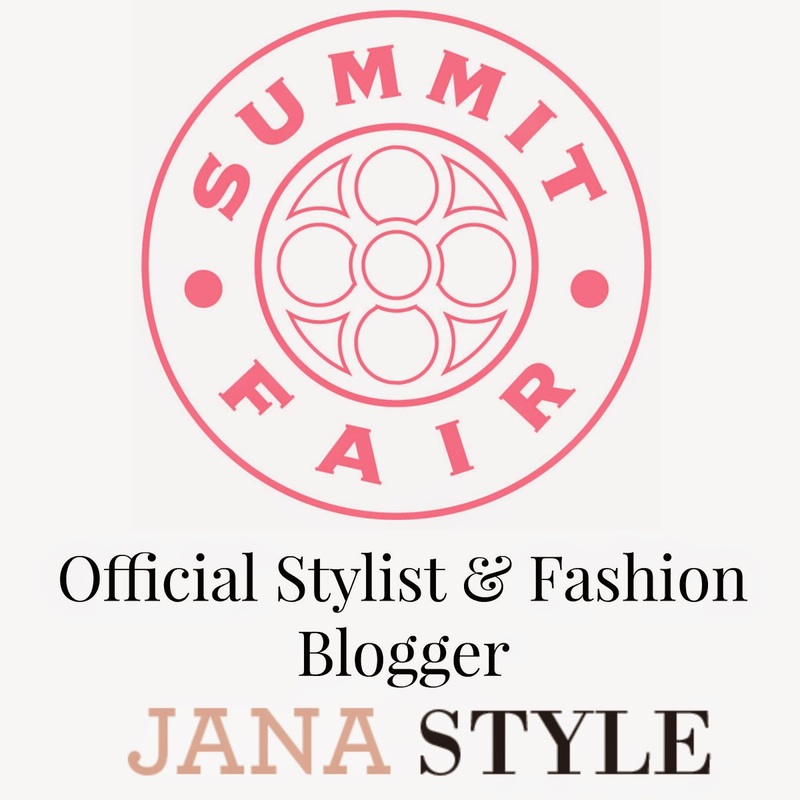 The stores at Summit Fair are filled with bright new arrivals and I can't wait to show you more in the next few weeks! The temps in KC have been a bit on the chilly side. 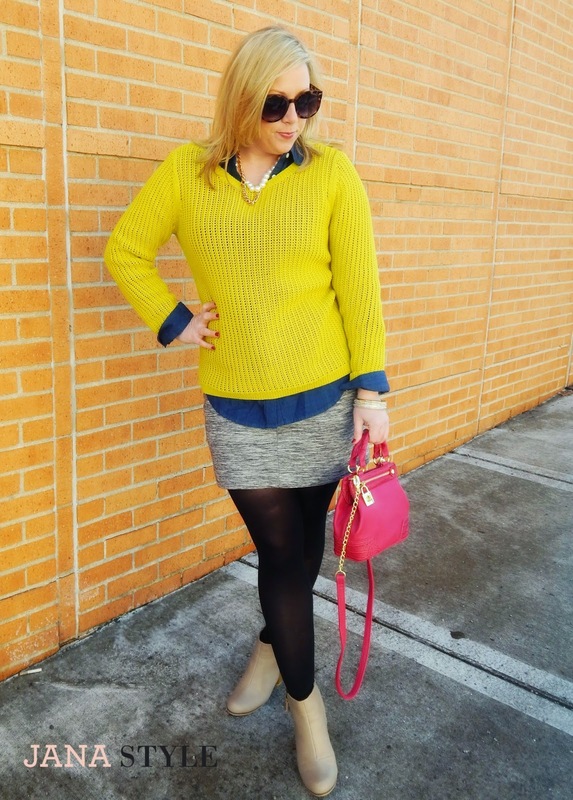 For this outfit I mixed my spring pieces with my black tights and booties for a transitional look. 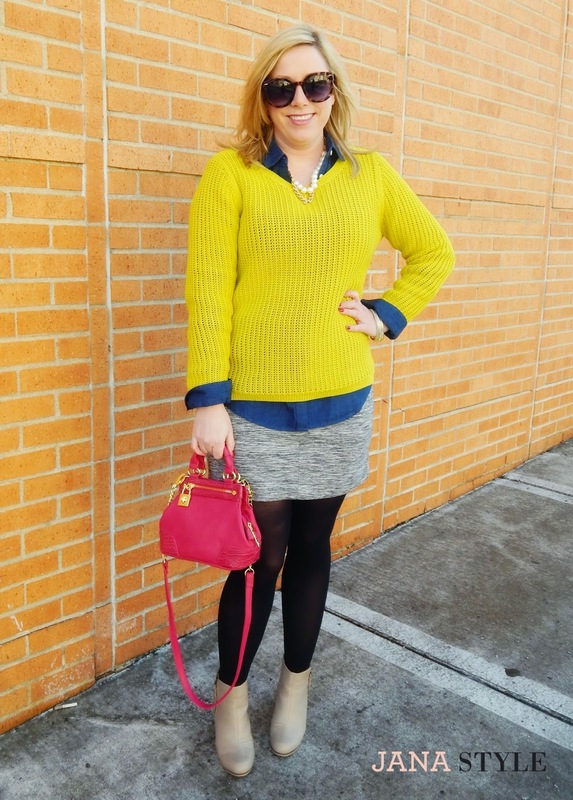 If you layer your button up tops with you your lighter weight sweaters, don't forget to cuff your sleeves. It gives the outfit a more finished look. 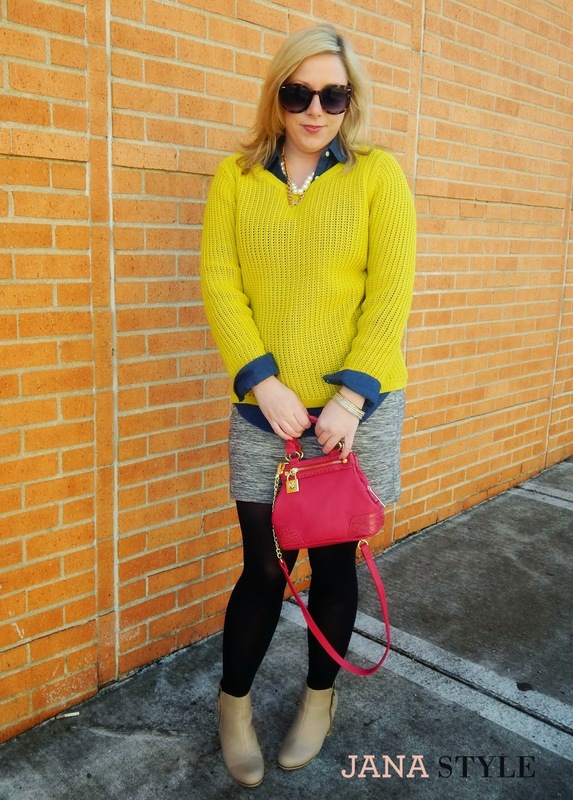 Small styling tricks really make a difference when layering. 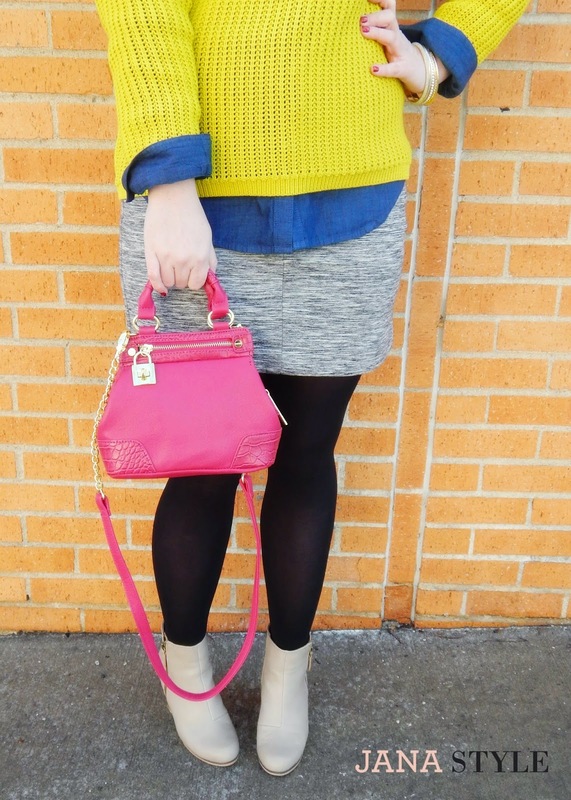 I love this cute pink cross body bag. It's the perfect color and size for Spring/Summer! Happy Shopping! Only a few more weeks until Spring!